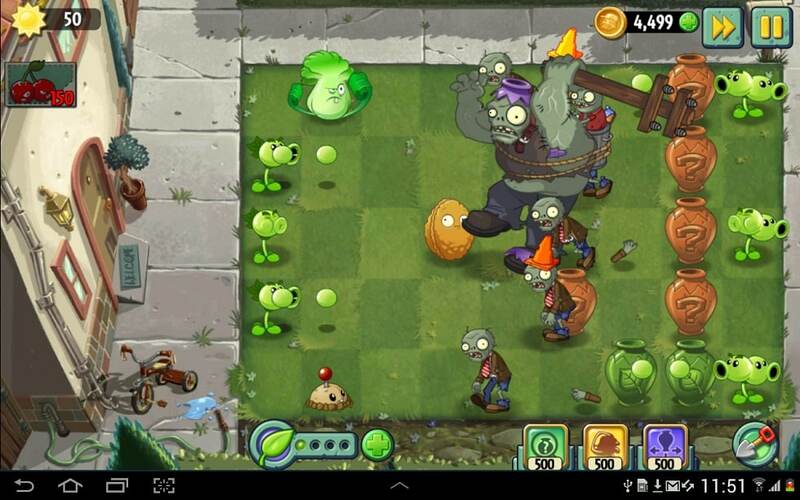 Plants vs Zombies 2 is an addictive award winning game where you have to guard your home (and obviously, your brain!) from invading zombies. Here you control the kitchen garden of variety of unique attacking plants. You grow plants in different lanes and positions. Zombies march in these lanes towards your home. Attack and destroy them with abilities of your plant. Once you defeat every zombie of all waves of attack, you win hot sauce and give it to Crazy Dave for eating taco. Grow 4-5 sun producing plants for daytime scenarios. In scenarios like Dark Ages, sun (it’s your food!) stops falling from sky. For these levels, plant more sun producing plants. Always follow your unique tactics (E.g. : grow sun producing plants at the last position (near your home) and plant walnut, potato mine in front positions, and grow attacking plants in middle region). Learn about special zombies (special abilities, weakness) before selecting your plant that opposes the zombie (Frost Bean for Flame Zombies!). 10 brand new exciting scenarios (Ancient Egypt, Pirate Seas, Wild West, Far Future, Dark Ages, etc.) with increasing difficulty. Each scenario with 25 to 30 levels and unique creatures (about 12-13 unique zombies!!). In last scenario Jurassic Marsh, Dinosaurs appears and helps zombies to reach your house easily… on last day (day 16) falls a tiny asteroid which should have been the mighty one which cause extinction to those large creatures… but it seems that history changes due to time travel…. This is like a strategy game (with easy controls!) 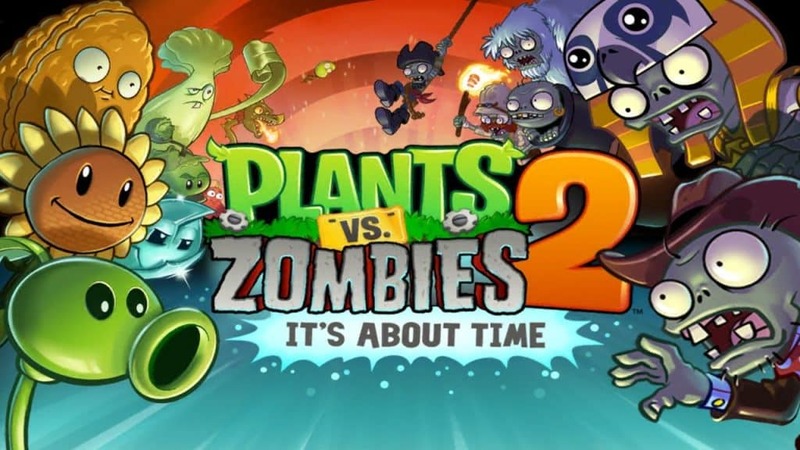 where you place right plant in right location to kill the zombies and defeat the Ultimate Villain Dr.Zomboss (who obviously escapes through his portal!!!)…. Sometimes when playing Plants vs Zombies 2, bluestacks ask you fee to pay but gives you option to download some apps. Every time it asks you just select “Install apps” and continue using it free. Have fun with Zombies! And don’t loose your Brains!!! I hope you enjoyed this guide, please rate and share. 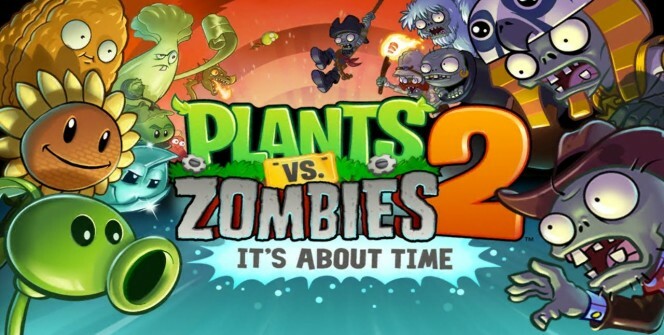 If you have problems running Plants vs Zombies 2 on your desktop PC or any other issues, leave a comment below.